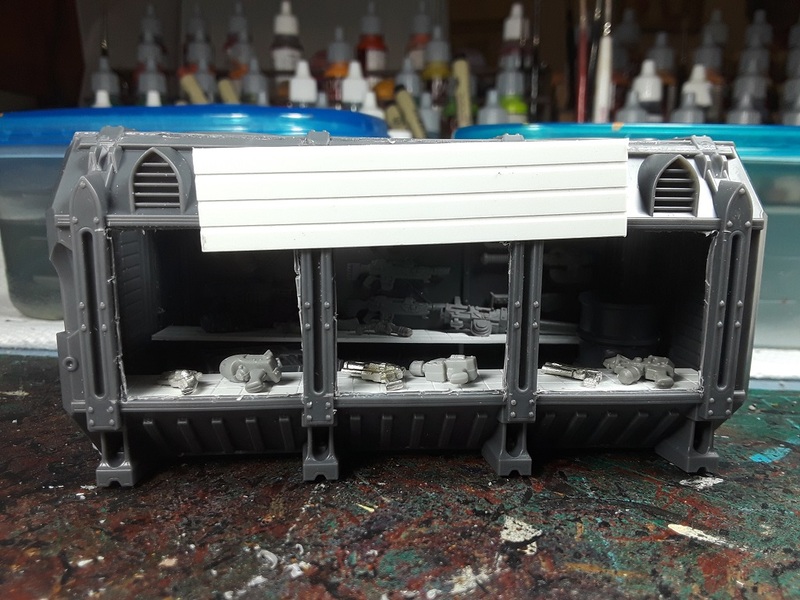 Mordian 7th Regiment: Necromunda - Shipping container shops built! 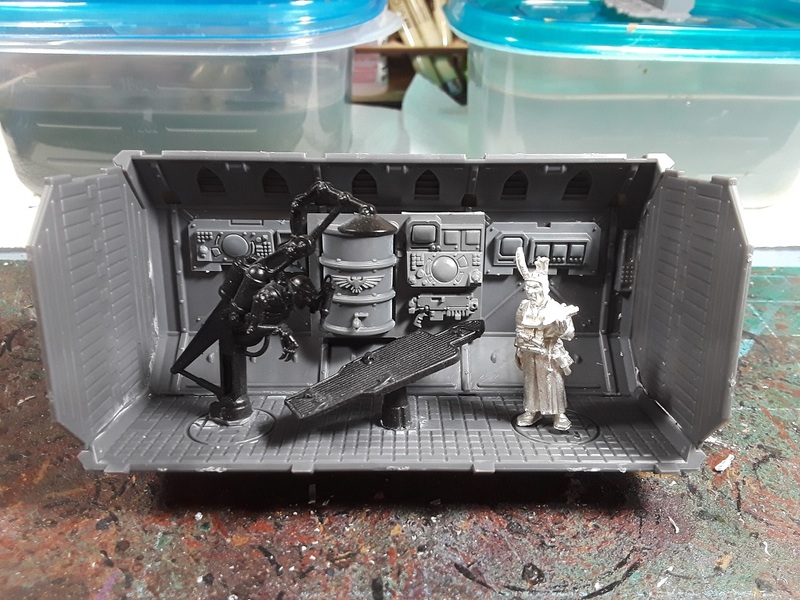 Saw a rather cool use for the GW shipping containers recently and knew I had to follow suit - Had a set lurking in the Closet of Doom so on a somewhat rainy afternoon I set to chopping, drilling and gluing my fingers together to make a few hopefully interesting pieces of scatter terrain for Necromunda! First up, welcome to The Gun Show! 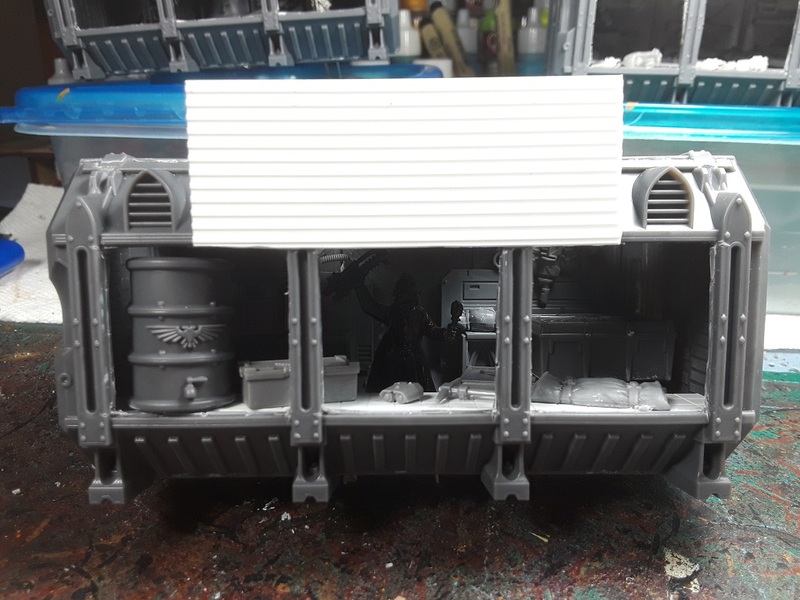 This is a rough approximation of what I'd seen elsewhere online and had to emulate - Took a little doing to drill and cut out the 'windows' on the side, and also carved out the hatches on the tops to let a little extra light in. Still looking for a salesman model to stand behind the counter, but pretty jazzed with how it turned out! 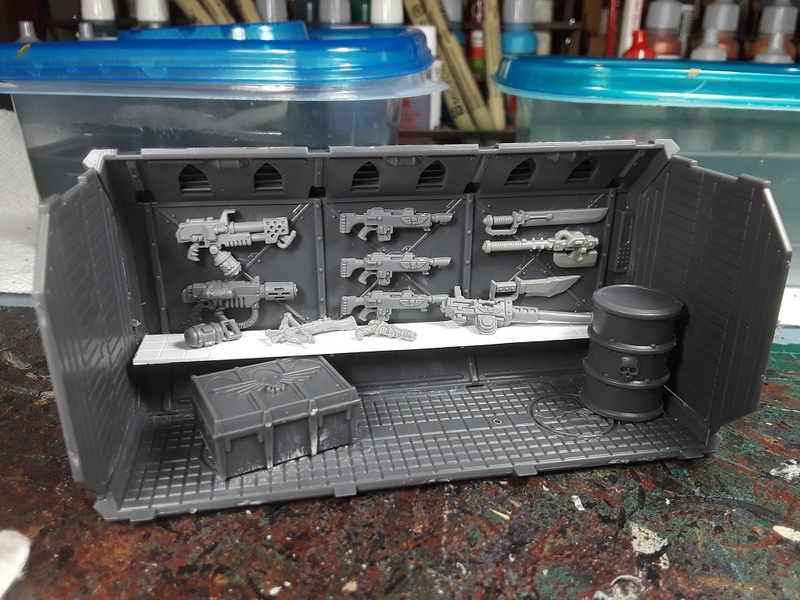 As I then had two more containers to work with, I figured a couple more shops would be in order! 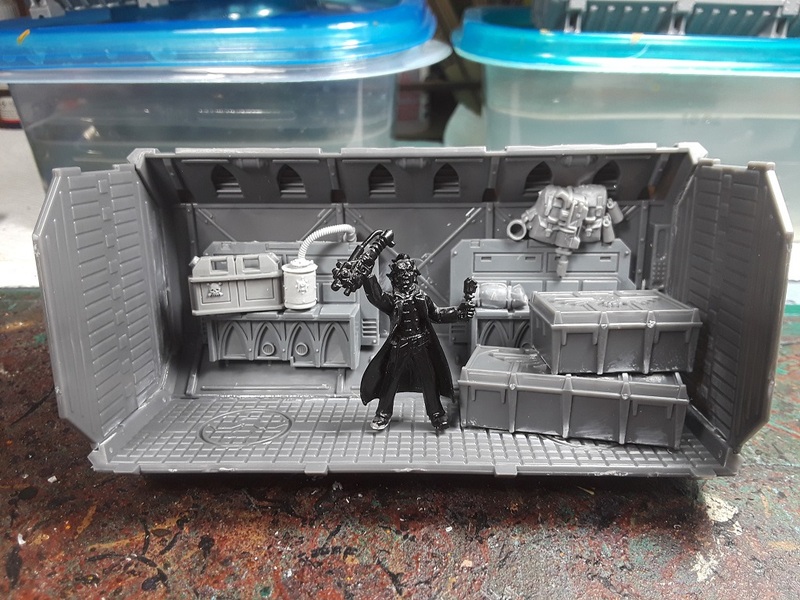 Next up is a little general store, Don's Downhive Deals, with Dealin' Don excitedly showcasing an Isotopic Fuel Rod for the enterprising adventurer aiming to set up camp in the Underhive! Rather fun to build and should add a little more flavor to the battlefield once I get 'em painted up! These are fantastic. I've seen things like this done before, but this is a new standard! Cheers! Really enjoyed building 'em! I really love that kit. 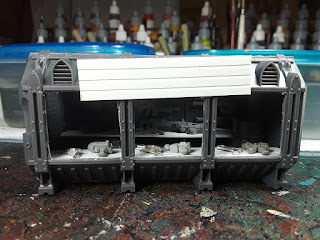 On its own, it's kind of bland, but because they detailed it so thoroughly, including the interior, it makes such a fantastic base for so many possibilities. Great work bringing three of them to life here! For sure - Might have to pick up another set! I love the Emergency Services one! Reminds me of my dentist. Very macabre. 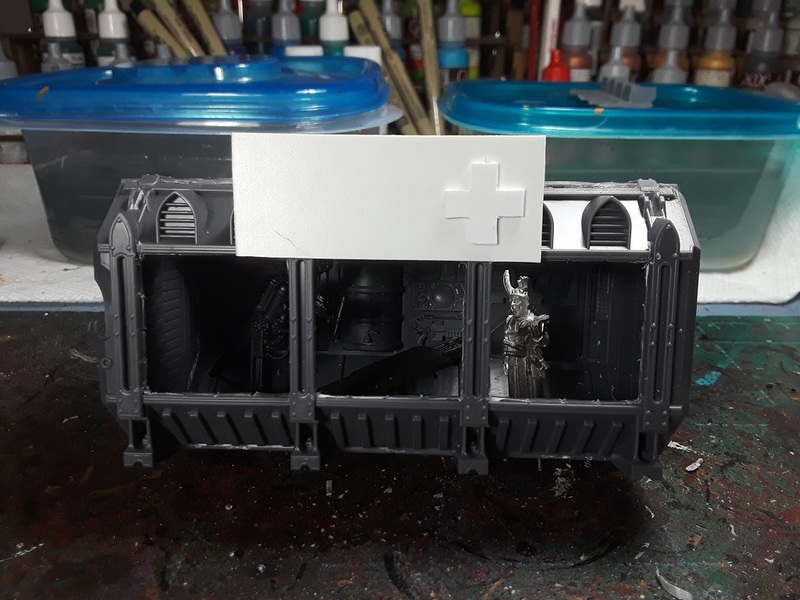 Looking forward to doing some pea-soup green hospital interior color, and some grisly blood spray! Very nice, full of character. Kit bashing and customization is one of the best aspects with this hobby. Looking forward to seeing them painted up. Absolutely! My favorite part as well! Awesome idea, and so well executed here. Great work! I look forward to seeing them painted up. Thanks much! Getting some paint on 'em already, pics to follow! Very cool man. .. that is a pretty cool idea and has a really good look! Thanks bud! Started getting some paint on 'em and hope to have pretty pics up soon! Cheers! After building the gun shop I had to keep going, they're actually kind of fun to build - Might have to do another trio at some point in the future! Neat idea! I remember seeing some food stands along these lines. Where are the figs inside from? I like the chap in the the med bay. Thanks bud! They were an absolute blast to build and I'm thinking another trio is in order (likely a jail, a fast food shop and a water seller). Holy heck these are genius! Cargo Containers are boring in general, but you've made some amazing scenery out of them. Can't wait to see them painted up and in-game. I appreciate it! Was really happy with how the builds turned out!